The plan for driving west this year included a new version of the home-built camper on Dave’s Dodge Ram 2500. Last year we spent 5 months on the road in the basic camper. He designed this enhanced model last winter on the pc and started construction in late July. The pressure was on. He built it. I painted and learned how to fiberglass to supplement his work. The work was finished August 26 and we left the next day on the dry run to Boise, Idaho, about 2100 miles. It’s tall and boxy, but held its own in the winds on I-80. Inside it carried two kayaks, a bike, one unicycle and three people on the return trip home. And it’s much more comfortable, luxurious by our tent-camping standards. The heart of our trip to Idaho was an eight-day, hundred mile river trip on the Middle Fork of the Salmon River. It is in the Frank Church “River of No Return” Wilderness Area in north central Idaho. Bill Sedivy, our friend in Boise Idaho, has organized and outfitted our self-supported trips since 1997. Over the years, we’ve become the “staff” of “Sedivy Expeditions”, driving out west almost every summer and it never gets old. This year, Mike Keas, a fellow Burned Out Canoe Club friend from Ohio, joined us on the river. Bill and Mike rowed rafts, Dave kayaked and I paddled my new inflatable kayak for the first 68 miles, then hopped on Mike’s raft. 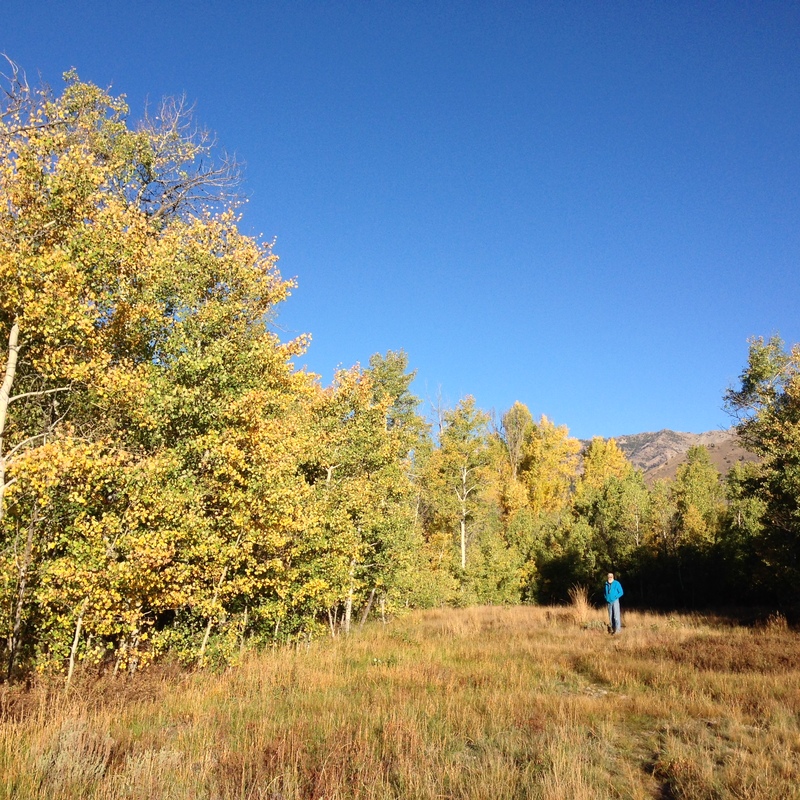 The put-in at Boundary Creek is over 6000 feet elevation, so the September nights are cold, but the days were sunny 60-70 degrees. I’ve never done anything that keeps me so much in the present. The focus is on the river, doing what you need to do to get downstream to the take-out, maneuvering through rapids, absorbing the awesome scenery, visiting pictographs, some fishing. And camp: making the miles to your designated site, setting up, lemon drops, cooking, cleaning up and bear-proofing the site, filtering water, relaxing and enjoying the evening. By 10 almost every night, everyone is settled in for sleep. 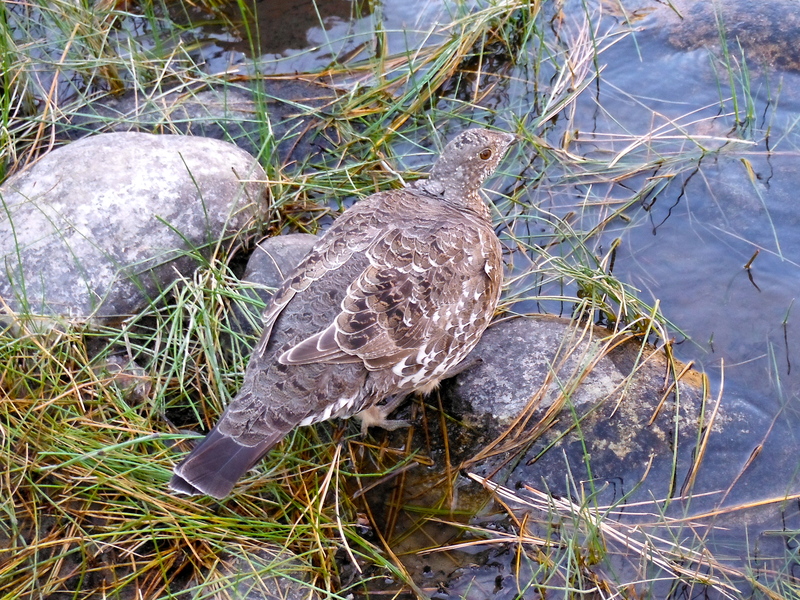 We saw lots of wildlife: bear, mule deer, bighorn sheep, otters, eagles and osprey. 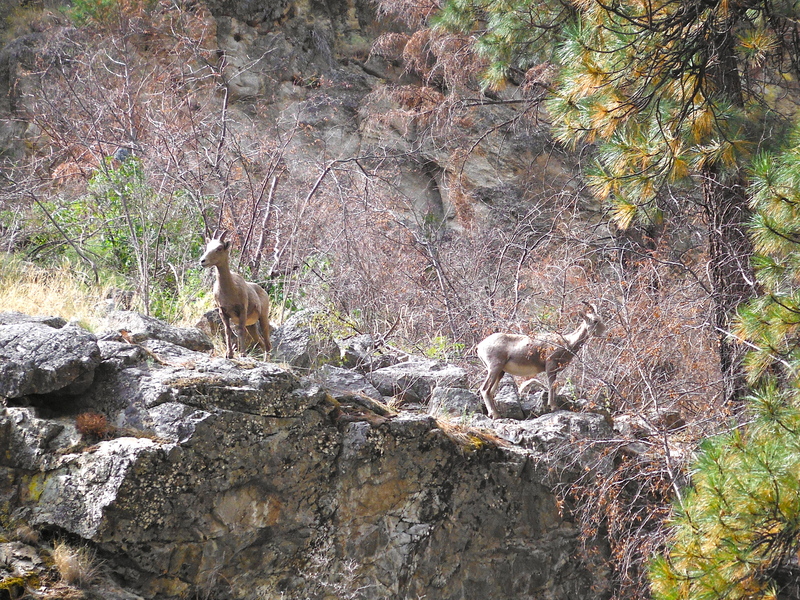 Mule deer visited two of our camps and a bald eagle did a fly-by upstream one morning during breakfast. After the river trip, we spent two weeks in Boise, with camping side trips to McCall and Ketchum, Idaho for some cycling and lake paddling. I got some “girlfriend time” in and enjoyed seeing more of the city and cycling on the Boise Greenbelt. It’s a paved trail that follows the river through the city and is well-used. Boise also has an impressive park system and huge farmer’s market on Saturdays. 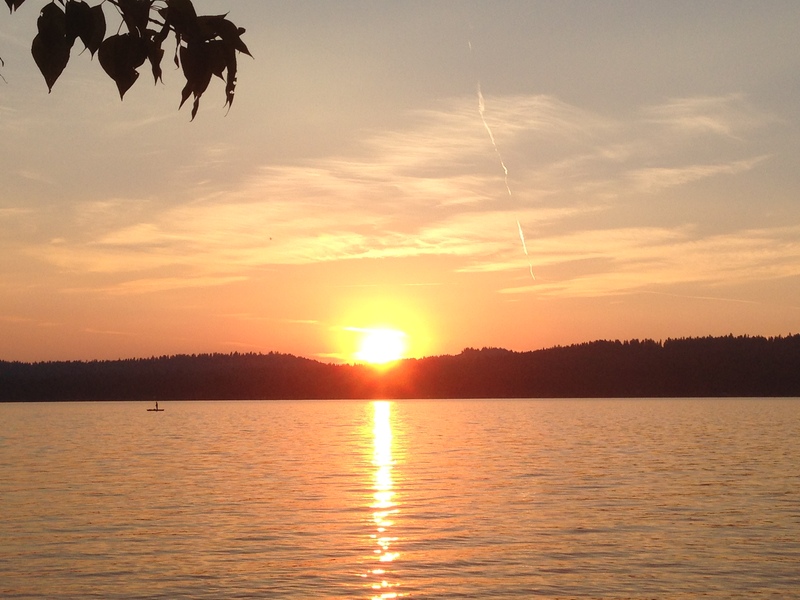 McCall has a great state park on Payette Lake and a hot springs spa south of town. We highly recommend the local brewery and mountain berry milkshake at My Father’s Place. 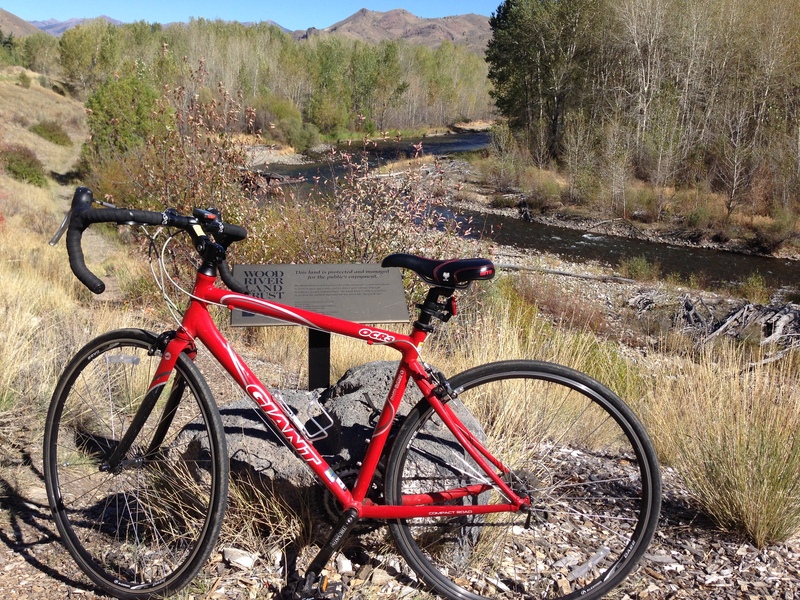 In Ketchum and Sun Valley we cycled on a network of paved bike trails. We stayed in two Forest Service camp sites, both on pretty streams. I liked Ketchum’s town square & its excellent Starbucks. We also enjoyed the Sawtooth Brewery. 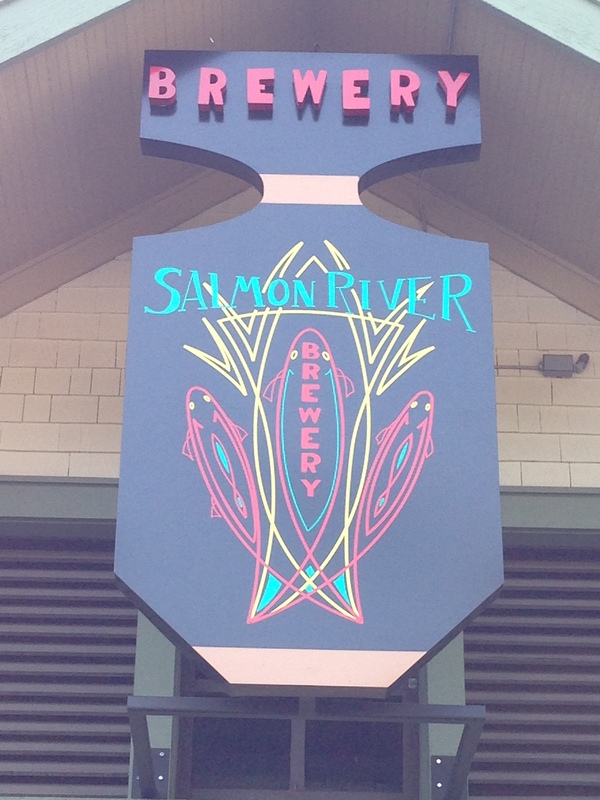 Are you sensing a craft brewery theme on our trips? You would be right. 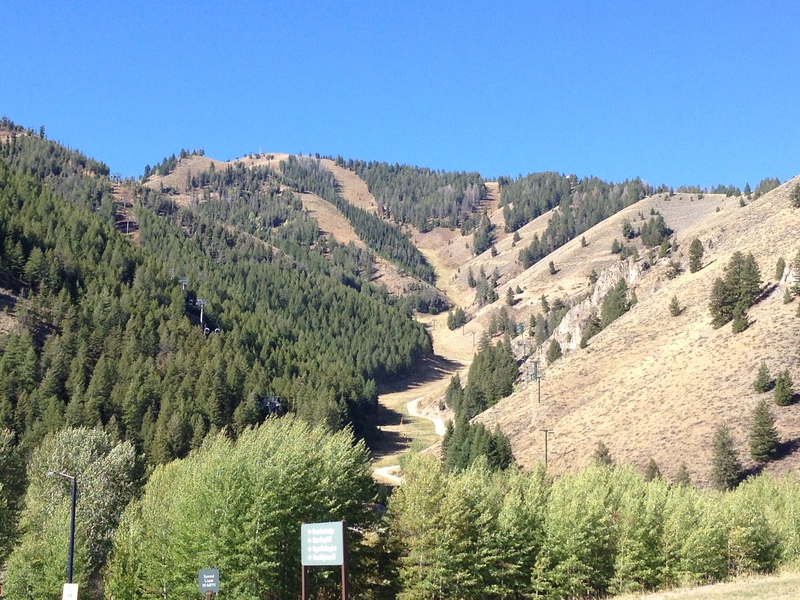 Ketchum’s elevation is 5840 feet . All in all, the trip was another excellent adventure. The recipe: zest for travel, the outdoors, a river, good friends and new experiences! And last, but not least, the Dirigible. This entry was posted in Uncategorized on October 6, 2014 by joandr. Welcome back home. 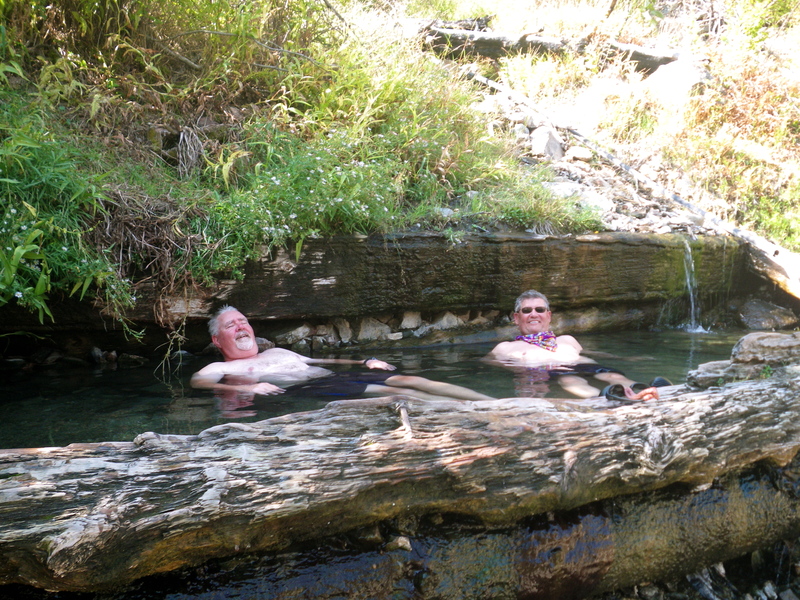 I enjoyed reading your blog about this recent trip and shared the pictures with my Jim. Thank you for your phone call about Jim’s mom passing…Stan told me yesterday at coffee. Jim seems to be doing okay, but there will be times of sorrow and also happy memories too. Glad you are back and hope to see you at Starbucks soon.